Sheep come in all shapes and sizes. The binomial name for sheep is Ovis aries. They are classed as even-toed ungulates in the order Artiodactyla. Sheep may be rams or tups (entire males), ewes (adult females), wethers (castrated males), hoggets (immature sheep) or lambs (baby sheep). Once slaughtered, the meat is known as lamb, hogget or mutton. 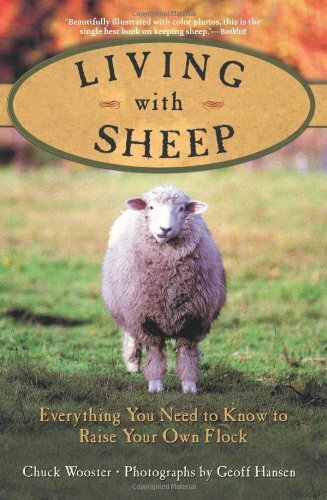 Sheep have been domesticated for many, many years and have been a valuable source of meat, wool, hides and milk. 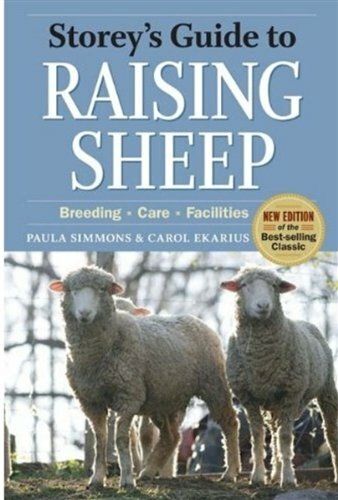 Sheep breeds have been developed for specific regions and specific purposes until there are now over 200 sheep breeds. Breeds are often 'crossed' for specific purposes. Cross-breeding possibly happens most in the prime lamb area when trying to develop better quality lambs for market. Some breeds are recognised for rapid growth and quality carcasses when 'dressed' (so-called 'ram' breeds eg Hampshire Down) while the ewes of other breeds are famed for high fecundity and strong maternal instincts ('ewe' breeds such as the Bluefaced Leicester and Cheviot). Many of Great Britian's indigenous breeds have been bred for the quality of their meat. 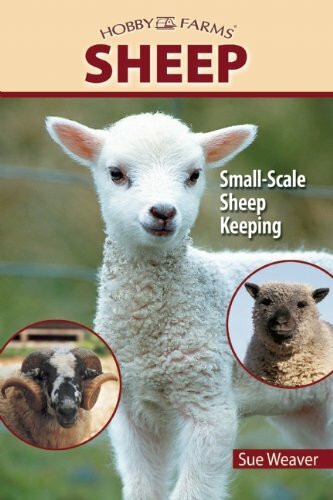 Just as there is great variety in horse and dog breeds, so too is there variety in sheep breeds. Polled (Southdown) and horned (Exmoor Horn), hair fleece and wool fleece, short-tailed (Shetland), long-tailed, tall, short – they all appear in different sheep breeds. Sometimes only the males are horned, some primitive breeds such as the Jacob have up to four sets of horns. White woolled sheep were preferred in the early days as it 'took' dye better. The gene for white wool is dominant but coloured fleeces are now finding a ready market with hand spinners and weavers. Wool for commercial purposes comes mainly from Merino or Merino type sheep. Depending on the crimp and density fleeces can be defined as fine, medium or strong. Very coarse wools such as that from the Scottish Blackface and Navajo Churro are used for carpets while fine wools can be turned into high fashion garments. Wool is removed from the sheep by shearing. Breeds which produce hair such as the Damara generally shed their fleece and thus cope better with high temperatures and are more resistant to parasites. They are also easier to manage as there is no shearing and crutching to organise. Breeds such as the Wiltshire Horn and Dorper are examples of sheep which shed their fleeces. Wool contains lanolin, a fatty, water-proof substance. Lanolin is found in cosmetics and body care products. Hides from sheep are tanned. If the wool is left on, pelts make great bedside mats and car seat covers. Fat from mutton was known as tallow and used for soap and candles while cartilage was rendered to produce gelatin. The droppings contain cellulose which can become a component of paper. So there is very little of a sheep that need be wasted.A breed such as the Jacob produces flavoursome, lean meat, an attractive coloured hide and high quality wool while the horns can be made into buttons or walking stick handles. Specialised breeds now produce milk for dairy products such as cheese. The East Friesian, Lacaune and British Milk Sheep are all milk producers. As mentioned, there is a wide variety of types. Typically, ewes weigh between 45 and 100 kg with rams generally being bigger and heavier with top weights around 160kg. Sheep are ruminants and have no upper incisors. Instead they grind their food against a hard, flat pad. As sheep age, they are known as 2-tooth (two permanent incisors replace the milk teeth when the animal is about 12 to 18 months old), 4-tooth (1 1/2 to 2 years), 6-tooth, (2 to 3 years) and 'full mouth' (3 to 4 years). As the sheep nears the end of its life, the teeth begin to fall out. It is then 'broken-mouthed'. Ten to twelve years is the average life expectancy and up to 20 years perhaps under ideal conditions. Sheep are able to see behind them without turning their heads. Their depth perception is poor which is why they jump over gateways and shadows. They have excellent smell and good hearing. Sheep are herbivorous ruminants. They ingest a lot of herbage in a short time then regurgitate the food for extra chewing. The stomach consists of four compartments. Flora in the gut breaks down highly fibrous foods and cellulose into simple carbohydrates. Sheep graze close to the ground and will often be turned onto pasture after cattle have grazed the taller vegetation. The amount of water required varies with type of feed and weather conditions. Sheep tend to flock together. This trait is more pronounced in some breeds. They may also become 'hefted' to a particular piece of ground and spend all their time in the one area. When threatened, sheep will generally flee. Mothers will protect their lambs as well as they are able, stamping a warning and perhaps charging. Rams may be aggressive and will fight each other during the breeding season. Ewes are sexually mature at 6 to 8 months and rams 4 to 6 months. Gestation is around five months and one to four lambs are borne. The number of lambs varies according to the breed. Lambs are up and nursing in about an hour. Parasites, both internal and external, are the main health issues for sheep. Woolled sheep can suffer from blowfly strike. Scrapie, foot-and-mouth disease and contagious ecthyma or Orf can all be transmitted to humans. Pregnant women can also be afflicted by the organisms which cause spontaneous enzootic abortion in sheep. Sheep will continue to play a huge role in the economy of many countries for many years to come. There is also increasing interest in preserving the older, 'heritage' breeds. The Rare Breeds Survival Trust of Great Britain and the American Livestock Breeds Conservancy both actively promote the benefits of preserving these ancient breeds.